This is a wood attached to a recently closed limestone quarry. 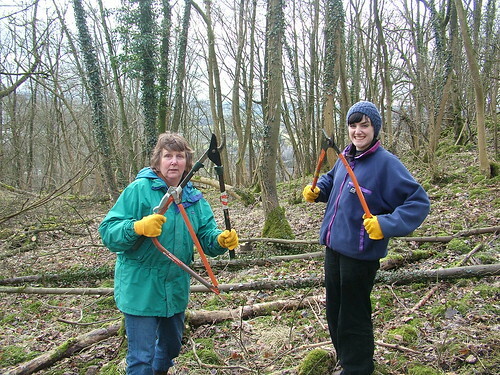 It is a nature reserve managed on a voluntary basis by Craven Conservation Group and Natural England’s Ingelborough staff . Interesting mixture of sycamore, lots of ash, small elms, individual larches, hazel and a small amount of beech and cherry (and probably others that I didn’t see). 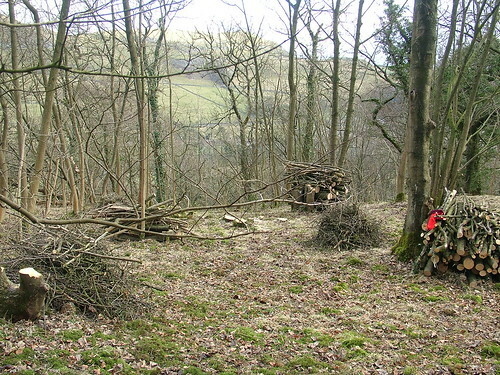 The wood is all about the same age and must have been clear felled a few decades ago. It is based on a limestone pavement complete with clints and grykes, but which, unlike many in The Dales, are unexposed and covered over with a thick layer of vegetation, mainly moss at this time of year. I’m told by those who know that there is interesting flora and I’ll be returning to check it out in Spring. 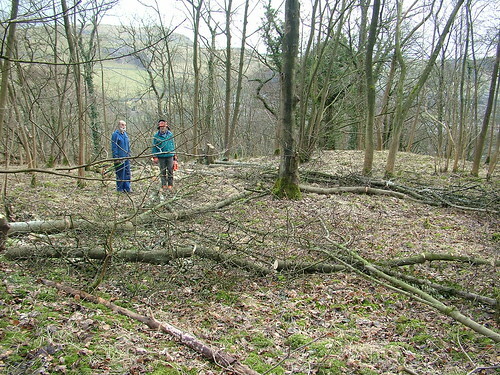 The work was to reduce the amount of sycamore and create some clearings. Back at the bodgery work has been moved home temporarily due to transport problems (enough said). I’m working on small tables and bird tables and stools. Pictures later. And after the excellent Mastercrafts programme on BBC2 last Friday there was a lot of interest in the bodgery on Sunday, even a few courses to set up. 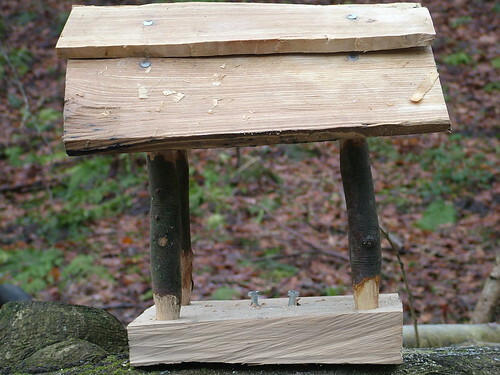 This entry was posted in Days off, Green woodwork, Winter and tagged bird table, coppice, giggleswick, green woodworking course, lord's wood, mastercrafts, settle by Flying Shavings. Bookmark the permalink.